What is a rainymood? It is arguably the most fulfilling moods out there, but it is the hardest to understand and explain. It makes introspecting, sleeping, love-making, and other indoor activities that would seem inappropriate on any other day both appropriate and comforting. With this mood, staring at water drops as they race down a glass window pane in a rhythmic fashion is so fulfilling. The fog, wind, rainbow, and thunder outside is always too enticing and pleasurable to watch. That is without forgetting how blurred vision during the day and slumbering moon at night allows you to live in the moments that warm your heart and improve your mind. What about standing in the balcony and sticking your hands out, enjoying the cool feel of raindrops falling on your skin? All these spectacular phenomena explain a rainy mood. The relaxation that rain sounds bring is therapeutic in many ways. You probably love jumping into bed whenever the rainymood sets in because of the peaceful sleep that it guarantees you. Maybe you like reading books or watching movies under the tranquil, soothing rain sounds, subsiding all your fears and insecurities. Or do you stand outside to witness the blissful view of car headlights and street floodlights in the rain? It feels awesome, right? The bottom line here is that wherever the rainymood takes you, it sure feels like a fruitful therapy session. A rainymood cultivates friendships, sexual relationships, and family ties. The duration of phone calls increases significantly during rainy seasons. 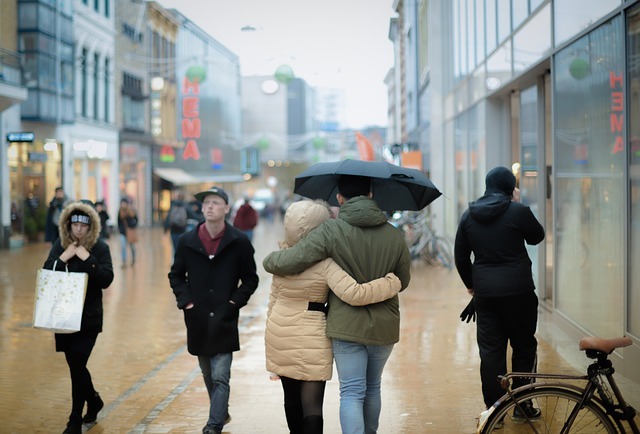 According to Santi Phithakkitnukoon, a renowned researcher from the University of Newcastle, people are more likely to reach out to their families and close friends when it rains than on other days. This is largely contributed by reduced outdoor activity. They chat with few people for long hours as opposed to the warm seasons when they make many shortlived connections, most of them being unnecessary. Because rain is so soothing, it makes lovers more intimate with one another than at any other time. Doing different household tasks together, watching movies together and, of course, constantly engaging in carnal knowledge brings couples closer. A rainymood is forbearing in that it takes away from you the aggressiveness that sunny seasons precipitate. The mood makes you less irritable, tolerant, peaceful, and patient. When was the last time you got easily irritated or annoyed on a rainy day? You probably cannot remember. When pressed by deadlines, there is no better mood to be in than the rainymood. The sound of rain eliminates the mind-draining effects of noises from colleagues and machines while the reduced outdoor options eliminate the distracting out-of-work thoughts. That way, you are able to manage your time effectively and meet all your deadlines. In all sincerity, the negative effects of the rainymood are few and nearly inconsequential. They all boil down to the limited outdoor activity which, admittedly, can make the mood a little boring sometimes.